Confidence comes when you look and feel good. There is something to be said about having clear skin and putting your best face forward (definitely a confidence booster). In need of skincare products to help you get there? Bioré Skincare has you covered with a variety of products to help you achieve that #flawless complexion you have been dreaming of. Oh, and National Youth Confidence Day is coming up on October 20th —the perfect excuse to test out these efficacious skincare products that so many teens and young adults turn to.  Happy National Pimples Day! 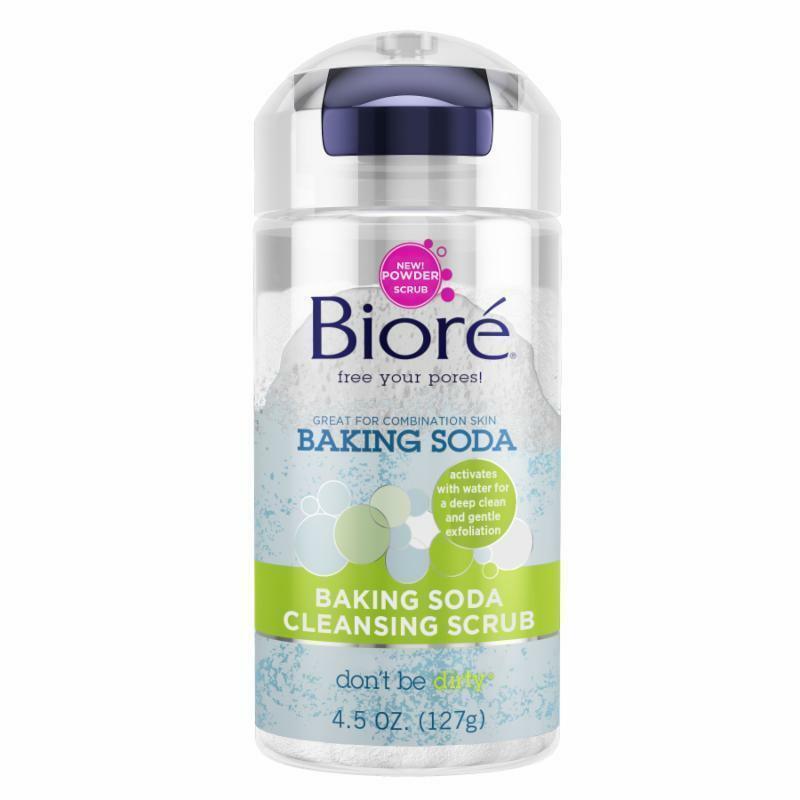 Bioré® Charcoal Acne Scrub: In addition to oil-absorbing charcoal, acne-fighting salicylic acid, and proprietary technology that allows for deep cleaning without over-drying (which is a major problem for acne-fighting products), this powerful scrub for oily skin contains exfoliating beads and skin-polishing . Bioré® Skincare Deep Pore Charcoal Cleanser: This breakthrough cleanser gets pores twice as clean after just one use, in as little as 30 seconds. By combining natural charcoal with Bioré® Skincare’s exclusive Skin Purifying Technology, featuring breakthrough dirt-seeking molecules, this cleanser provides targeted deep cleansing for a smooth, clear complexion without irritating skin. The black liquid to white foam, non-staining formula leaves a tingly-smooth deep clean. 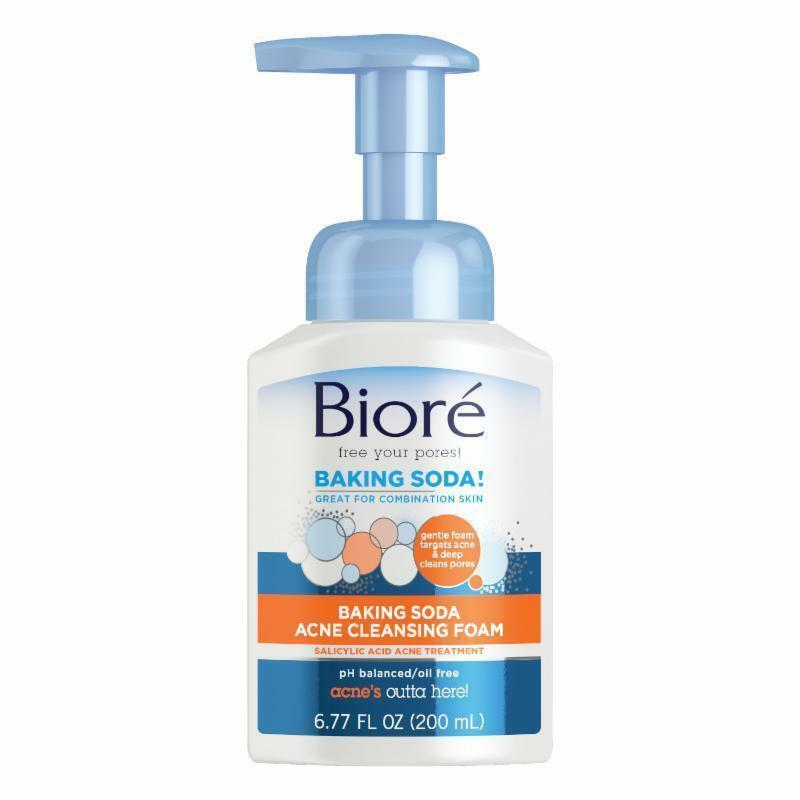 Bioré® Baking Soda Acne Scrub: Formulated for combination skin, this cleansing scrub gently exfoliates with smooth spherical beads and baking soda to remove pore-clogging dead skin cells, while treating existing acne and banishing future breakouts with salicylic acid. The creamy formula instantly conditions and softens the skin, leaving you with a silky, smooth complexion.  Summer Weekend Essentials from Bioré – Your skincare routine, perfectly portable! As the weather starts to warm up – those long, relaxing summer weekends are closer than we think! Luckily, bringing your favorite skincare routine with you doesn’t need to be a chore. This Memorial Day (and all the glorious extended weekends to come) can be made simple with Biore’s perfect travel-friendly essentials to make packing a breeze. These must-haves fit perfectly in your toiletry bag and make cleansing and refreshing your skin quick and fun, so you have more time to relax and soak up the sun! No need to worry about liquid products spilling in your bag – This cleanser is powder until you activate it with water! These Self-Heating masks come individually packaged – easy to grab and go! Pore Strips are small enough to fit in your makeup bag to help unclog pores, even on-the-go.  Color Your Way to Clear Skin - Hard Candy Cosmetics! 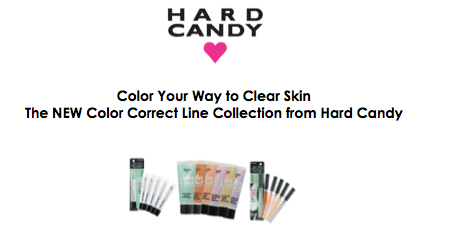 Hard Candy’s new limited edition line of color correcting primers and concealers offer the power to color your way for the ultimate in clear skin. From combating dry skin, acne and dark spots, this limited edition collection has the perfect shade for every complexion. 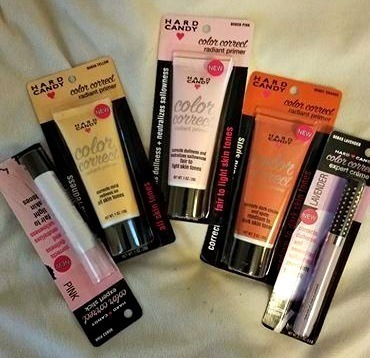 The Hard Candy Limited Edition Color Correct line is available only at Walmart. 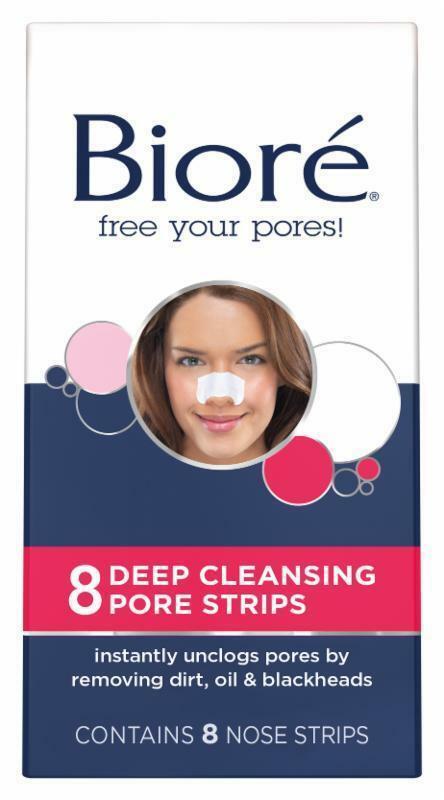  Ring in the New Year with Clear skin from Bioré! Ring in the New Year with glowing, clear skin with Bioré Charcoal Products. The invigorating scents of peppermint pays homage to the holiday season and the charcoal cleans and smooths your skin. 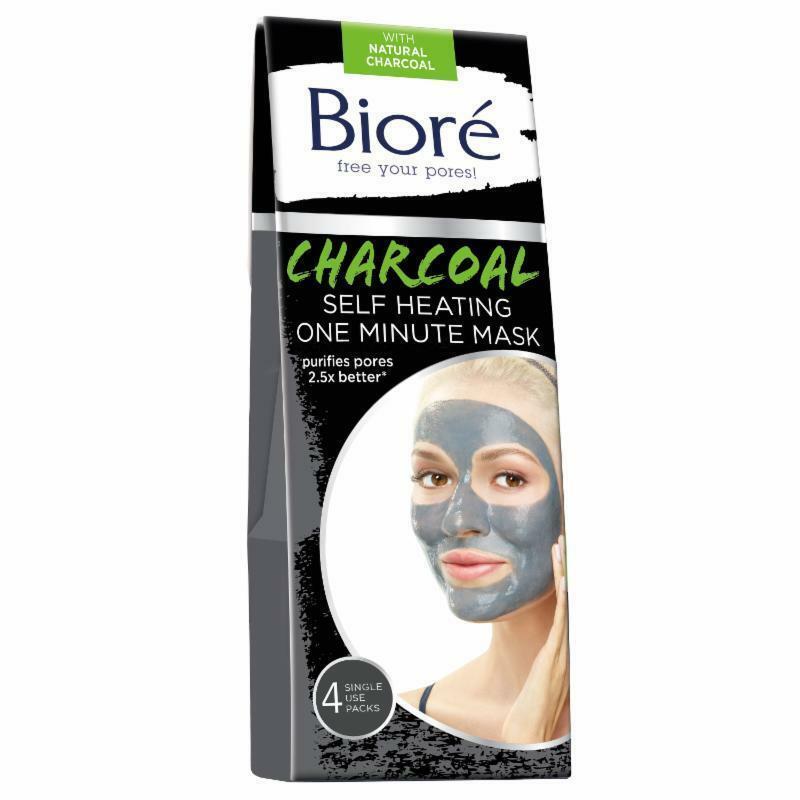 Bioré Pore Penetrating Charcoal Bar ($6.49) draws out and binds to deep down dirt and oil for 2.5 times cleaner pores than a basic cleanser. With jojoba beads and peppermint, the formula gently exfoliates and leaves skin feeling refreshed and smooth. 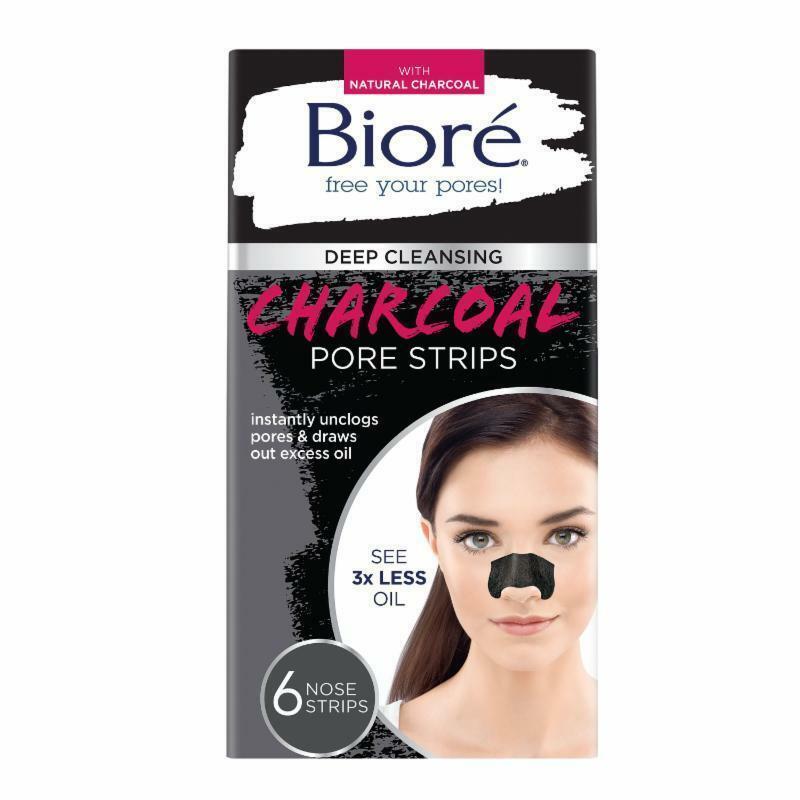 Bioré Deep Cleansing Charcoal Pore Strips ($6.49) is a twist on a beauty staple – Bioré skincare experts added natural charcoal powder to the iconic Pore Strips! With next generation proprietary c-bond technology and potent charcoal, the strips remove clogs and weeks’ worth of buildup and while refining pores to diminish their appearance over time. 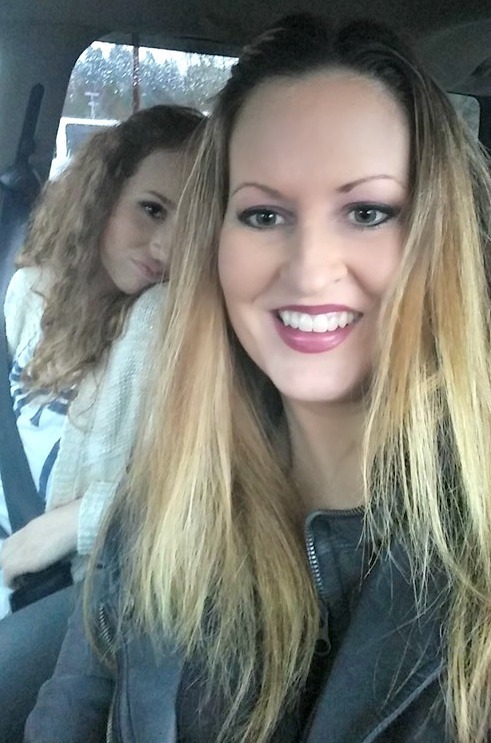 Bioré products are definitely the favorite brand for me and my daughters. Out of all of the expensive products I get to review, Bioré is at the top of my list for effectiveness. Is quality is unsurpassed, and the prices are completely affordable. These Bioré Charcoal Products are available at select food, drug and mass merchant stores. For more information visit www.biore.com . Actress Hailee Steinfeld looked stunning at the 2016 Radio Disney Awards this past weekend at the Microsoft Theater in Los Angeles. Hailee’s makeup artist Stephen Sollitto shared the scoop on how to recreate her red carpet look! INSPIRATION: "I was inspired by her chic Michael Kors dress. It was so simple, yet with the stone trim at the bottom it was a knock out. I wanted to do a poppy lip especially since the dress was black. Also, as this was a Disney event, a red lip here felt too serious for the younger audience. This pink shade Hailee wore was playful as well as a great compliment to the entire look," says Stephen. For an event like this where there's a red carpet, a performance and an after party, fresh skin is essential for creating the perfect canvas. If it doesn’t look healthy – no makeup is going to help. So, to prep Hailee’s face I used Bioré Self Heating One Minute Mask. This thermal mask gives you purified pores in just one minute. 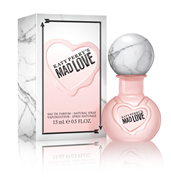 It has charcoal in it that heats up with water to open pores and draw out dirt and oil. Once her skin was nourished, I used Makeup Forever Ultra HD foundation. Next, with a loose brush, I dusted Dior Diorskin Forever & Ever Control loose powder. Then I started on her eyes --I wanted a bit of color, so I used an Antonym Pinkish pencil all over the lid and blended it out for a creamy warm look. Following this, at the lash line I drew on MAC Raven – a rich eggplant color. Over that to soften the line, I brushed Laura Mercier Aubergine eye shadow – a beautiful sheeny purple. Then to help make her eyes pop even more, I used two coats of Diorshow mascara. For a flush of color I stippled on NARS blush in Outlaw – a great compliment to her eyes. 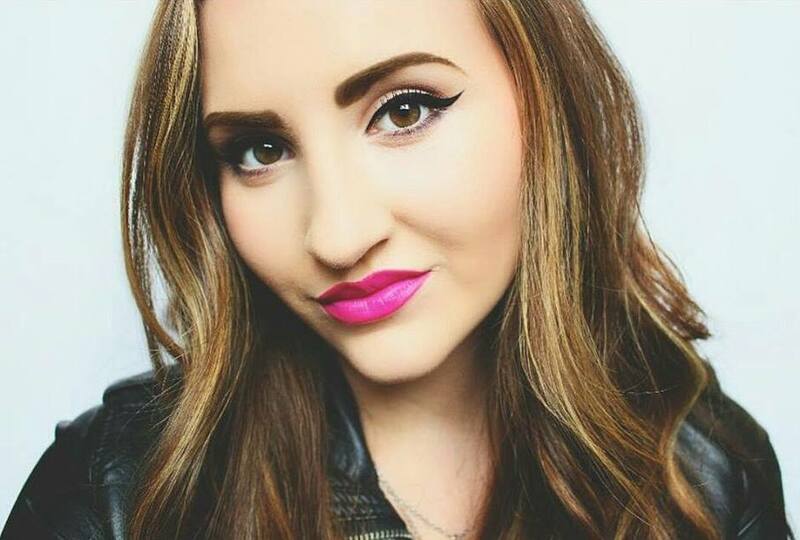 To top off the look – and to keep it as chic as the dress – I used Laura Mercier Lipstick in Pink Dust. 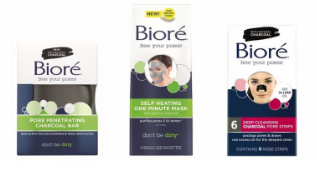 More About Bioré Self Heating One Minute Mask ($7.99): In just one minute, this thermal mask warms to open pores, draws out and dissolves 2.5 times more dirt, oil, and surface toxins than a basic cleanser, and rinses them clean away with an invigorating cooling sensation without stripping the skin. *Product received. Any opinions are mine. Did you make a New Year's Resolution about NOT STRESSING OUT so much? Just the thought of KEEPING my new years resolutions stresses me out! Stress can equal breakouts. I know I get a zit or two when the pressure is on. The one thing I have discovered to help me achieve clearer skin is the NEW AcneFree® Sonic Advanced Cleansing Duo! NEW AcneFree® Sonic Advanced Cleansing Duo is the latest innovation from AcneFree® that is designed to gently deep clean pores while the AcneFree® Oil-Free Purifying Cleanser helps clear blackheads and acne breakouts. The duo contains the AcneFree® Purifying Facial Cleansing Brush which features a two speed, soft silicone brush to gently exfoliate your skin using Dermal Stimulation Technology, providing up to 8,000 pulsations per minute, channeled through the smooth, rounded touchpoints to gently exfoliate and clean pores. The AcneFree® Oil-Free Purifying Cleanser features 2.5% Advanced Micro-Benzoyl Peroxide to help fight acne bacteria and control breakouts. Great for all skin types and perfect for on-the-go skincare, AcneFree® Sonic Advanced Cleansing Duo is a must-have to help keep skin looking clear and blemish-free all season long! Skincare can be stress-free with AcneFree’s newest, most innovative technology to hit shelves since December. Here's to a stress-free and blemish-free new year! 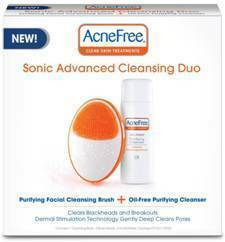 AcneFree® Sonic Advanced Cleansing Duo is available for just $24.99 at Walmart!  Probiotics & Paprika Peppers to Cure Acne & Redness? Who would have guessed that the key to clear skin is in paprika and probiotics? I never would have made that connection! The ZSS Clear Skin Method merges Probitoics and Zeaxanthin from orange paprika peppers, which has been tailored to target redness, acne and problematic skin. The Clear Skin Method includes a topcial Zeaxanthin-based Nutri-Serum that was been developed to work in tandem with a 30-day supply of individually packaged superfood supplements, brimming with not only Probiotics and Zeaxanthin, but other ingredients such as Tumeric, Broccoli, Pomegranate, Alpha Lipoic Acid, Algae, and Ceramides. Both clinically proven (with clinical studies available) to improve your complexion from the outside and inside out by targeting your gut health to give you balanced healthy skin. The brand has been embraced by The American Academy of Dermatology (AAD), celebrities such as Lisa Vanderpump, Dascha Polanco and Jada Pinkett Smith and men and women across the US. My daughter, Kendallyn has been taking the ZSS Clear Skin Method supplements and using the serum daily for over a month now. Before using this system, she was having breakouts that did not respond to her usual acne products or skin care routine. The ZSS Clear Skin Method has given her the beautiful, clear skin you can see in the photo below. Very impressive, indeed!